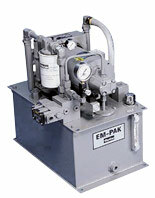 Improve your hydraulic equipment with Parker hydraulic power units in Pomona CA. Are you looking for an easier way to make sure your pump, reservoir, and motor are not only compatible but actually optimized for the best possible performance? You need to look at Parker hydraulic power units in Pomona CA. Power units let you get the job done with just one purchasing decision, and they are often more reliable and efficient too. When you’re ready for a new power unit, just come to Bernell Hydraulics. For more information about the specific models of Parker hydraulic power units in Pomona CA that we may have in stock, please contact one of our three stores. When you order from an authorized ParkerStore like Bernell Hydraulics, you can rest assured you will receive certified Parker hydraulic power units in Pomona CA. We have the factory connections required to get you the genuine parts you require fast. Our employees know Parker’s product line and we can help you get the right power units as well as any other parts, fittings, or accessories you may require. Need Service for Parker Hydraulic Power Units in Pomona CA? 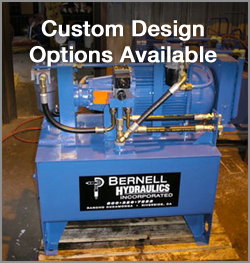 Unlike other parts providers, at Bernell Hydraulics we don’t just sell you a part and then abandon you. Instead, we offer troubleshooting and repair services for all your hydraulic parts and equipment. You can rely on us to help keep your Parker hydraulic power units in Pomona CA in top working condition with services like filter changes and fluid flushes. Our onsite repair services are available 24/7, and because we always test our work thoroughly, you know we won’t leave the scene until your equipment is working the way you need it to. For those in our local area, you can easily come pick up your new Parker hydraulic power units in Pomona CA at one of our 3 stores or have us deliver them to you. For those customers further afield, we offer worldwide shipping. To place your order, please call 800-326-7252 or fill out our online contact form now.